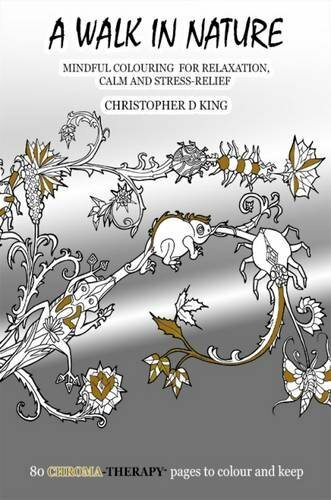 Christopher has just published his first Adult Coloring Book. Christopher D King is an artist/illustrator and product designer/engineer living and working in Oxfordshire. He specializes in unique detailed pen and ink illustrations drawn from his imagination. His inspiration comes from classic childrens' literature, modern design, architecture, nature, engineering and anatomy. Themes are surrealist, animals, fantasy, dystopian landscapes, fictional characters, geometric foliage and lend themselves to childrens' books and adult colouring books. He is publishing a few books this year for his Chroma-Therapy series - which focus on calming art therapy and colouring. There is a cool flip-through of the first couple of pages of his book on his Instagram feed, have a peep! We discovered him on Instagram. Listed here for now on a Mini Profile page...to be expanded later!